This is a sample entry from Tom Dosdall’s newsletter, Technical Ag Knowledge, published on Thursday, November 17, 2016. 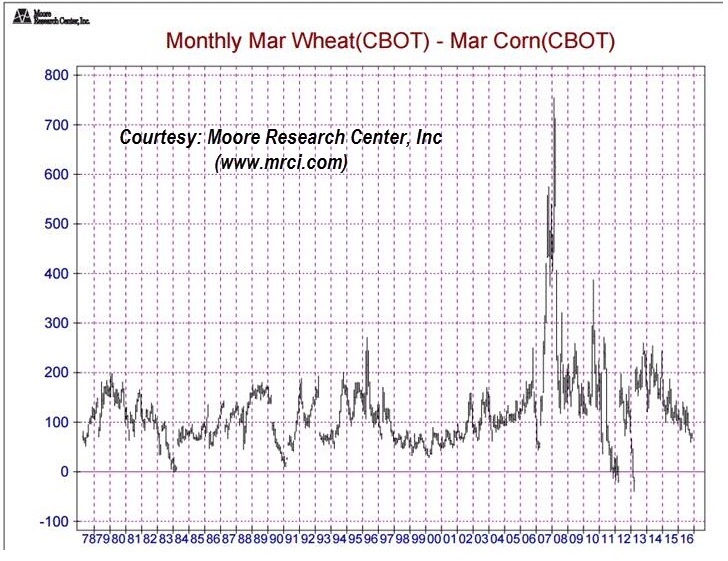 Historically the corn/wheat spread is closer to $1.00. 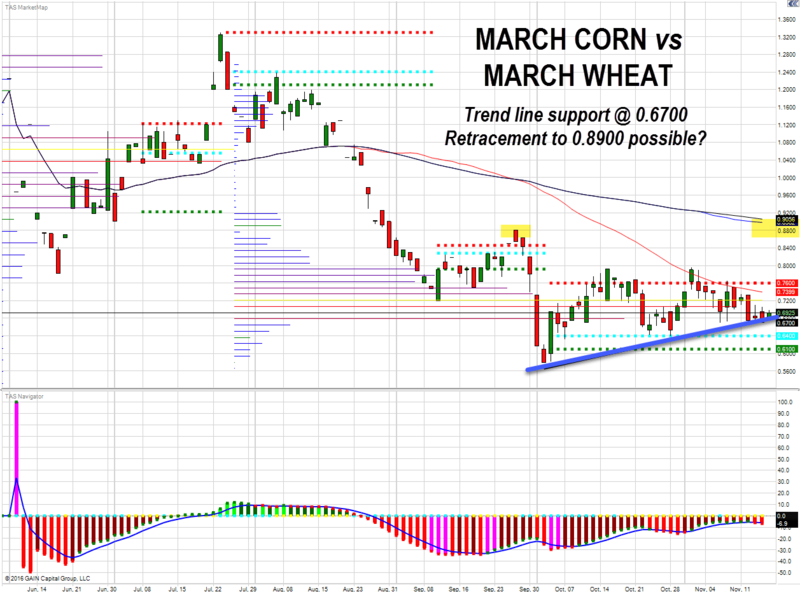 Do we find trend line support here?